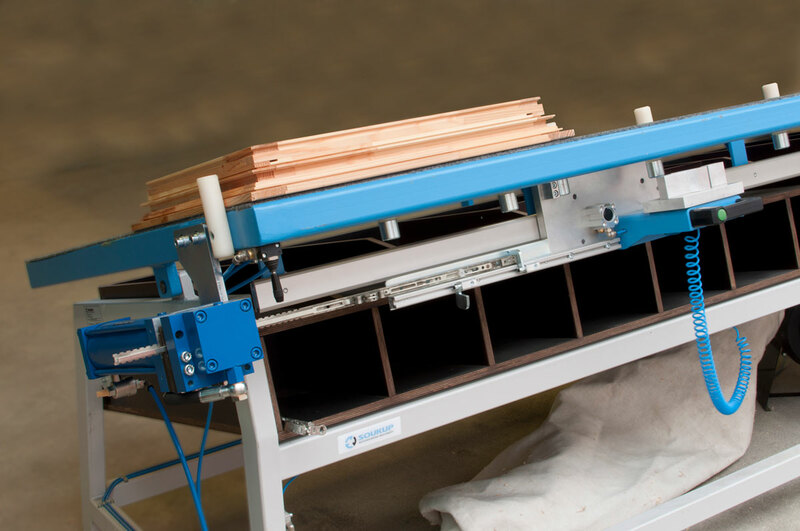 The KS 2400 assembling table is designed for cutting and mounting whole frame hardware and for cutting glazing beads. 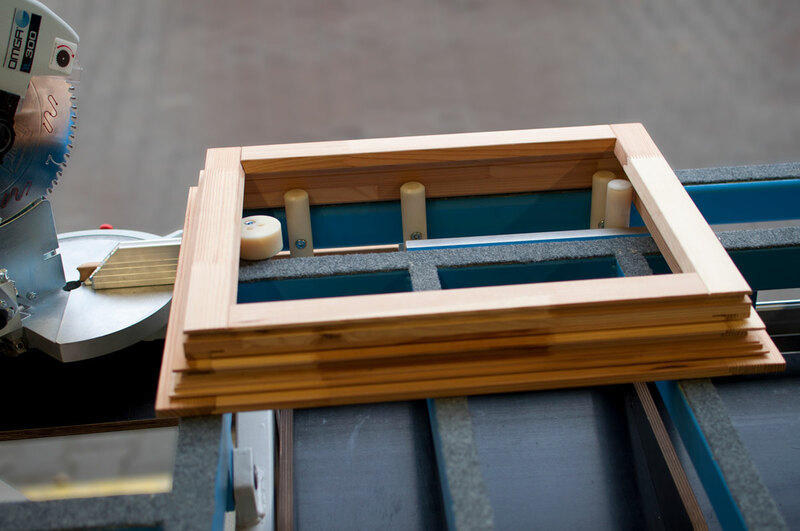 It was designed by window and door joiners to vastly improve the process of adding hardware and gasketing to your frames. 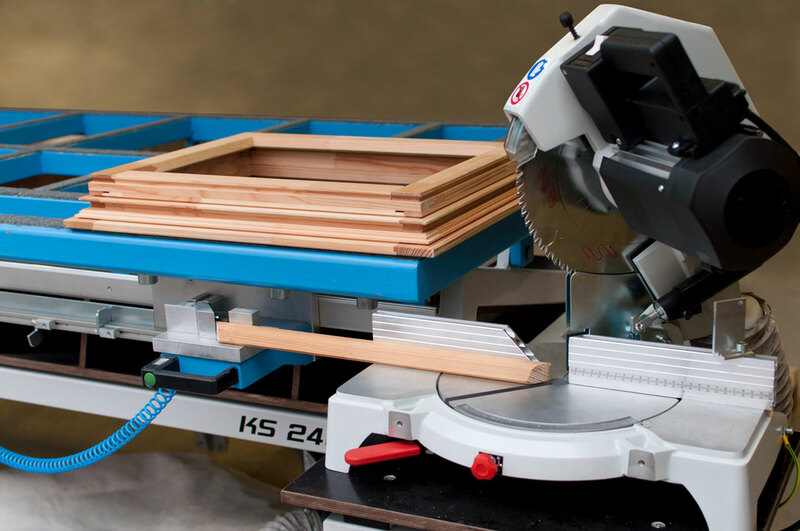 The KS 2400 comes equipped with pneumatic scissors for cutting hardware to length, along with a hand-operated miter saw with dust extraction, and collection to facilitate precise, clean bead cutting. The table also has plenty of convenient storage capacity for your fittings, tools, and everything else you want to keep handy. 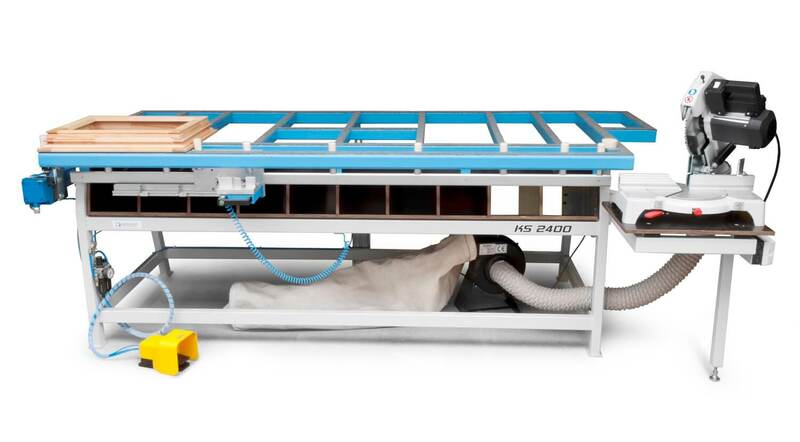 With the window mounted on the left hand side of the table and secured around its perimeter, the outside of the window is measured using the integral slide and cut accordingly. 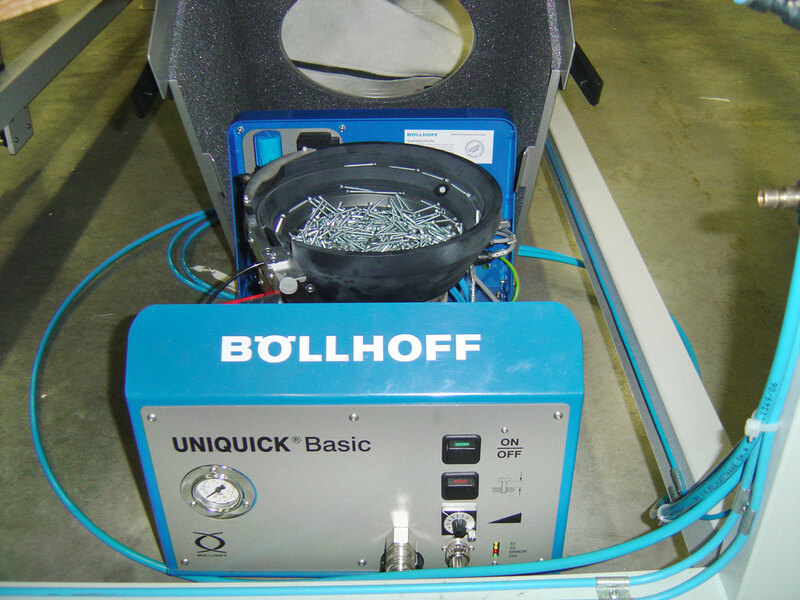 The tilt capability of the table working surface enables ergonomic attachment of fittings using a screwdriver. A rechargeable, battery-powered screwdriver or optionally fitted automatic screwdriver with a screw feeder can be used. On the right hand side of the table, the "inner light" of the sash can be measured with the slide. This measurement is transferred to a moveable stop so that a corresponding bead can be cut with a precision mitre saw. 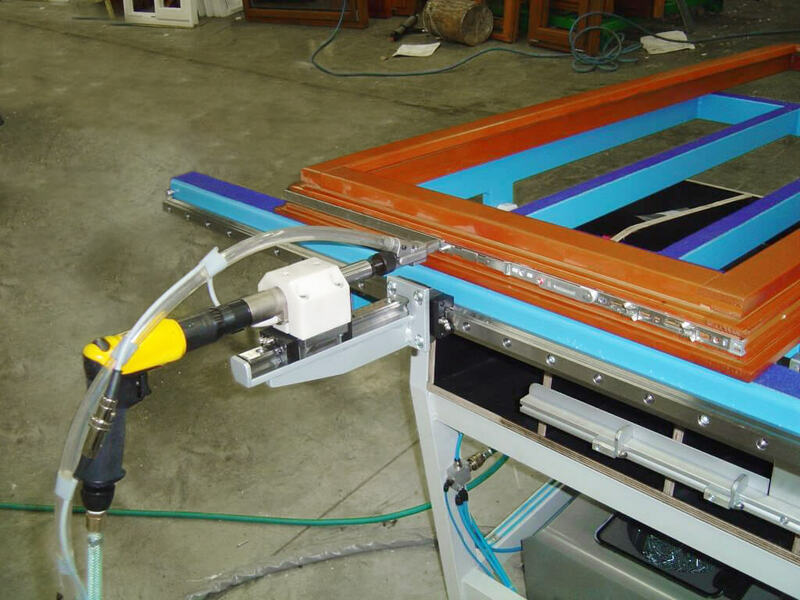 Measuring and exact cutting of beads by mitre saw. Measuring of the hardware length and cutting to size (ask your hardware supplier for the correct punching machine and settings). Automatic screwdriver with feeder (optional). Join our mailing list for the latest news, updates, and special offers.